The Amateur Radio Parity Act, H.R. 1301, was among three bills that the US House Subcommittee on Communications and Technology considered in a Thursday, February 11 "markup" session. Subcommittee members voted to send the measure to the House Energy and Commerce Committee for further consideration. The Subcommittee on Communications and Technology is chaired by Rep Greg Walden, W7EQI (R-OR), who, during a January 12 Subcommittee hearing on H.R. 1301, called the measure "a commonsense bill" and urged his colleagues' support. Subcommittee members submitted in advance any amendments they might have to any of the bills being considered in the February 11 markup. The House bill's sponsor, Rep Adam Kinzinger (R-IL), also spoke in favor of H.R. 1301 at the January 12 hearing, explaining that hams in some neighborhoods "are outright prohibited" from erecting antennas on their properties. He cited Amateur Radio's role in emergency communication support, and said his bill's "reasonable accommodation standard" would not mandate placement, size, or aesthetics regarding an outdoor antenna, leaving ham radio operators and homeowners associations to decide those issues. Reps Walden and Kinzinger made impassioned statements at the markup session, in favor of the bill. Representative Anna Eshoo also spoke and recognzied the work all parties are doing to insure the passage of the bill in the House. At the ARRL National Convention February 12-14 at the Orlando HamCation, ARRL representatives will be on hand to help visitors to generate letters of support to members of Congress. More information about the legislation is on the ARRL Amateur Radio Parity Act web page. Making his inaugural ARRL National Convention appearance this week as ARRL President, Rick Roderick, K5UR, said he's looking forward to meeting many League members in person at Orlando. The 2016 ARRL National Convention on February 12-14, is hosted by the Orlando HamCation®, which is celebrating its 70th anniversary this year. "We are embarking on a new era at ARRL as the second century begins," President Roderick said. "I'm thrilled to be part of these exciting times for Amateur Radio." Over his term, President Roderick said, his emphasis will be on implementing the 5 year Strategic Plan that the ARRL Board of Directors adopted at its annual meeting in mid-January. Roderick said the plan "will help grow and advance Amateur Radio, and make the League stronger and more responsive to our members." He also said he'll put forth a major effort to secure passage of the Amateur Radio Parity Act, as well as improved enforcement by the FCC. President Roderick, 63, is the ARRL's 16th president, succeeding Kay Craigie, N3KN, who served for three terms as the League's president. An ARRL Life Member, he has been a radio amateur for 48 years and lives in Little Rock, Arkansas. A complete ARRL National Convention program guide is available. Read more. succeeds former Vice Director Kent Olson, KA0LDG. Olson became the Dakota Division Director when former Director Greg Widin, K0GW, was elected as ARRL First Vice President at the ARRL Board of Directors' Annual Meeting in mid-January. Holden, 46, will serve out the remainder of the current term of office, which ends on January 1, 2017. 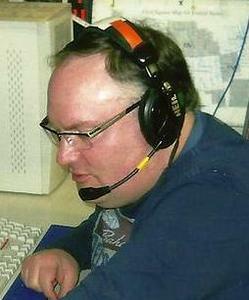 Holden serves as the president of the Bloomington Amateur Radio Association. He is ARES Emergency Coordinator for the City of Bloomington and a Minnesota Section Public Information Officer. He is an information technology professional with Delta Air Lines. Holden is active with the Bloomington Communications Group, the Twin Cities DX Association, the Minnesota Wireless Association, and the Northern Lights Radio Society. Read more. Congratulations to Gary Stone, N5PHT, who just wrapped up 10 days of operating at Chickasaw National Recreation Area (RC05) in Oklahoma. From January 29 to February 8, Gary made 1718 contacts with 1361 unique call signs. He worked all 50 states and just missed WAS on CW (no Wyoming). Look for NPOTA Managers Sean, KX9X, and Norm, W3IZ, at the ARRL National Convention, hosted by Orlando HamCation. They'll have an NPOTA booth and will talk about NPOTA during a forum on Friday, February 12, at 11:15 AM. Thirty-two NPOTA activations are scheduled between February 11-17, including Chaco Culture National Historic Park (HP07) by W5IL. Details about this and other upcoming activations can be found on the NPOTA Activations calendar. The ARRL and the American Red Cross have signed a new Memorandum of Understanding (MoU). The document, signed in January, succeeds the one agreed to in 2010; it will remain in place for the next 5 years. The MoU spells out how League Amateur Radio Emergency Service (ARES) volunteers will interface with the Red Cross in the event that ARES teams are asked by the Red Cross to assist in a disaster or emergency response. "Whenever there is a disaster requiring the use of Amateur Radio communications resources and/or facilities, the local Red Cross region or chapter may request the assistance of the local ARES organization responsible for the jurisdiction of the scene of the disaster," the MoU provides. Such assistance would include mobilization of ARES personnel in accordance with a prearranged plan, and the establishment of communication as necessary during a disaster or emergency. Generally, the MoU sets the parameters of the partnership between the ARRL and the Red Cross to provide assistance to communities affected by disasters. It calls upon both organizations to encourage and maintain open lines of communication at the state and local levels, sharing current data regarding disasters, situational and operational reports, changes in policy or personnel, and any information pertaining to disaster preparedness, response, and recovery. For its part, the League will encourage ARES units to engage in discussions with local Red Cross entities to develop plans for local response or disaster relief operations. The Red Cross will encourage its field units to engage in discussions with the ARRL Field Organization to develop plans for local response or disaster relief. Facilitating this is a Statement of Cooperation to provide methods of cooperation between the two organizations on the local level in providing services to communities during or after a disaster event, "as well as other services for which cooperation may be mutually beneficial." The ARRL signatory is either the appropriate ARRL Section Manager or Section Emergency Coordinator. The new MoU also clarifies that ARES volunteers assisting the Red Cross but not registered as Red Cross volunteers do not have to undergo a prior background check. Radio amateurs who register as Red Cross volunteers, though, must abide by the Red Cross's background check requirement. Read more. The first quarterly Military Auxiliary Radio System (MARS) US Department of Defense communications exercise of 2016 (COMEX 16-1) is set for February 12. The scenario will be a loss of electrical power, landline telephone and cell service, and Internet. The exercise will get under way at 1200 UTC and run for 12 hours. Individual radio amateurs and Amateur Radio Emergency Service (ARES) groups will be encouraged to participate. "The purpose of this exercise is to focus on individual MARS operator skills, refine our joint operations procedures between Army and Air Force volunteer leaders, and to continue to develop the working relationships at the local level between MARS operators and individual Amateur Radio operators as well as ARES and other Amateur Radio groups," Army MARS Program Manager Paul English, WD8DBY, told ARRL. "MARS is continuing to develop new techniques for how to make better use of Automatic Link Establishment (ALE) capabilities and will use this exercise to continue to refine how we integrate ALE." At some point in the exercise, MARS stations will be requested to contact local radio amateurs for a condition report. MARS stations will collect information from hams and ARES groups only via radio. Stormy weather that plagued the final days of the South Georgia VP8SGI DXpedition visit eventually led to the operation being cut short to ensure the safety of the team. Chief Pilot Toni Gonzalez, EA5RM, reported on February 7 that the DXpeditioners had returned to the R/V Braveheart "for security reasons." VP8SGI had planned to shut down South Georgia operations the following day, after a little longer than 9 days there. "VP8SGI is now QRT," he concluded. Apparent pirates signing "VP8SGI" and "VP8SGI/mm" showed up briefly on the DXpedition's announced frequencies after the DXpedition team's retreat. The DXpedition team was able to later return to South Georgia to retrieve its gear. The crew now is back on board the Braveheart and heading back to the Falkland Islands, where the team will operate as VP8IDX. On the South Sandwich leg of the DXpedition, VP8STI logged 54,642 contacts during its weather-shortened stay on Southern Thule Island. From South Georgia, VP8SGI logged 82,847 contacts, topping its 80,000 contact goal. The Southeastern VHF Society (SVHFS), North East Weak Signal Group (NEWS), and Mount Airy VHF Radio Club (Pack Rats) are cosponsoring a VHF Super Conference, hosted by the Grid Pirates Contest Group (K8GP) and Directive Systems and Engineering. The conference will take place April 15-17 in Sterling, Virginia. Early registration discounts are available. Conference Proceedings in printed and digital form will be available after the event. Sign up when registering. All registrations include lunch and all-day beverages. The event will feature an array of forums and workshops, a test lab, and a conference banquet. A microwave loop Yagi workshop will be offered during the weekend at an additional fee. The workshop will explain how loop Yagis work, how to adjust them, and how to build one. Free shuttle service will be available to the Udvar-Hazy Air & Space Museum. A second call for papers and presentations for the VHF Super Conference has been issued. The conference sponsors are seeking presentations or papers dealing with all aspects of VHF, UHF, microwave, and higher. Topics may include operating, contesting, homebrewing, software, EME, surplus, antennas, test equipment, amplifiers, and SDR. Photos are encouraged. Steve Kostro, N2CEI, and Paul Wade, W1GHZ, are coordinating Proceedings. Direct submissions and questions to them via e-mail. The Quarter Century Wireless Association (QCWA) has honored ARRL President Emeritus Harry Dannals, W2HD, for his 70 years as a radio amateur. QCWA Chapter 155 in Charlottesville, Virginia -- where Dannals lives -- hosted a celebratory luncheon for Dannals on February 3. Dannals served as ARRL President from 1972 to 1982, and as President of the QCWA from 1989 to 1994 -- the only person to have been president of both organizations. 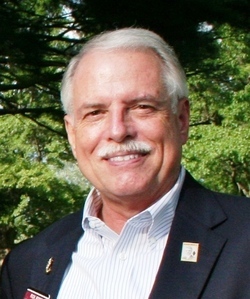 While serving as ARRL President, he was also a Commander in the US Naval Reserve. Now in his late 80s, Dannals is the oldest living former ARRL President. In a letter, QCWA President Ken Oelke, VE6AFO, commended Dannals' contributions to Amateur Radio. Luncheon attendees also included QCWA Past President John Johnston, W3BE, and ARRL Past President Kay Craigie, N3KN. Both commented on Dannals' devoted service to the ARRL and the QCWA. Craigie said that Dannals has set an example of "cheerfulness and enthusiasm, and friendliness to all hams, whether they qualify for QCWA twice over or are so new that they haven't memorized their call signs yet." No contest season is complete without the running of our annual ARRL International DX Contest. The CW event is February 20-21; the phone event is 2 weeks later on the weekend of March 5-6. Whether you're new to DXing, new to HF, or even new to CW, this contest offers an easy way for you to join in and have a lot of fun! The contest exchange is short and simple, and many participants here and abroad will patiently help you work your way toward success -- whether your goal is DXCC, working "a new one," or just getting accustomed to the rhythm of CW contesting. Ken, N2SQW, proudly holds his CW and Phone (Hudson Division Low Power Unlimited) plaques from the ARRL International DX Contest. There have been some bright spots in this HF contest season. If you're unfamiliar with HF propagation, this event is an excellent opportunity to experience how bands open or close, the changes in MUF, the movement of the grayline (the Sun's illumination boundary as it moves around the Earth), and other exciting forms of HF band conditions. Whether you are a newcomer or a contest veteran, this contest is not all about high power or large antennas. The event offers several participation categories ranging from QRP (5 W or less), Low Power (150 W or less) and, of course, High Power (up to maximum legal limit). A respectable score is possible even with simple wire antennas or verticals. Complete rules and forms are on the ARRL website. Read more. Icom America has donated an IC-9100 transceiver for installation at W1HQ, the ARRL Headquarters station that's used by staff and volunteers. The transceiver was provided courtesy of Icom America Senior Sales Manager, Ray Novak, N9JA, and it includes the optional 1.2 GHz module. The IC-9100 is an HF through 1200 MHz multimode transceiver that offers two independent receivers. It received an excellent review in the April 2012 issue of QST. The IC-9100 will be primarily used to enhance W1HQ's satellite capabilities, although it has many other applications. 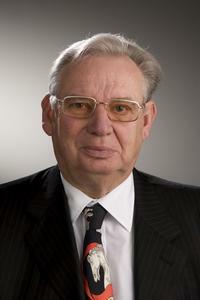 ARRL Chief Operating Officer Harold Kramer, WJ1B, praised Icom for its generosity. "Thanks to Icom and Ray Novak, we are going to enjoy an enormous update to W1HQ's capabilities," Kramer said. "The staff is eager to put the '9100 on the air!" Dayton Hamvention® has extended the deadline to March 1 to accept nominations for its 2016 awards program. "Get that special person you know the recognition they deserve," suggested 2016 Dayton Hamvention General Chairman Jim Tiderman, N8IDS. "Look at the clubs around you, and look at their promotion of our great hobby and give them the recognition they deserve." Awards include Amateur of the Year, Special Achievement, Technical Excellence, and Club of the Year. All Amateur Radio operators/clubs are eligible, with winners recognized at Hamvention® 2016, May 20-22 at Hara Arena near Dayton. The "RST" stations will take to the airwaves in February and March from several locations in Alaska, Yukon Territory, Northwest Territories, and Nunavut, with members of the North Country DX Association (NCDXA) at the helm. All call signs will have "RST" suffixes: KL7RST, VY1RST, VE8RST, and VY0RST. The idea is to further promote Amateur Radio in that part of the world. All modes on 160 through 6 meters will be used, and SWLs are welcome to participate. The object is to work or log (SWL) as many NCDXA "RST" stations as you can from their different locations. Work/log each "RST" station only once per QTH/band and mode. Cross-band, cross-mode, or remote operating is permitted. As wildcards, portable "RST" stations will also participate and are worth 3 points each/mode and band, but they must be one of the four "RST" stations. The portable stations must be outside their own prefix area to count -- for example, KL7RST/VY1, but not KL7RST/KL7. Plans call for having stations on the air from Whitehorse, Yellowknife, Anchorage, Fairbanks, Rankin Inlet, a Canadian research station near the North Pole on Ellesmere Island, a diamond mine in Northwest Territories, an Alaskan bush school and many other communities, possibly including an Alaskan glacier or two. Read more. The Amateur Radio Club of the University of Arkansas (W5YM), which celebrates its centennial this year, has donated a J-37 telegraph key to be used in a radio position under restoration on board "Fifi," a World War II vintage B-29 Flying Fortress. Members of the Rockwell-Collins Amateur Radio Club have been recreating a radio operator's position on the aircraft. "It's a grand addition to 'Fifi's' restored radio operating position," the restoration team noted on its website. "Many thanks to the 100-year-young University of Arkansas Amateur Radio Club, W5YM, and Dan Puckett, K5FXB, for facilitating this most thoughtful, generous, and historic commemorative donation." The J-37 was nicknamed the "Mae West" key after the 1930s-1940s comic actress for its unusual base with its curvy indentations, designed for wrapping the key's lead for storage. The J-37 will be a component of the Smith-Erwin Memorial Radio Operator Position on board the still-flying B-29 aircraft. development of low-noise oscillators." The Microwave Application Award recognizes an individual, or a team, for an outstanding application of microwave theory and techniques that have been put into practice within the past decade. Rohde will receive the award at the annual IEEE MTT-S International Microwave Symposium Awards banquet this May in San Francisco. In 2015 Rohde was named by the IEEE to receive the prestigious I. I. Rabi Award, recognizing outstanding contributions related to the fields of atomic and molecular frequency standards, and time transfer and dissemination. Rohde is the author of some 200 scientific papers and books, and has written articles for QST and QEX. Visalia 2016 Top Band Dinner Set for April 15: The Top Band Dinner at the International DX Convention in Visalia, California, will take place on April 15 in the ballroom of the Marriott hotel adjacent to the Visalia Convention Center. Craig Thompson, K9CT, will present, "Top Band from Palmyra, K5P." Check-in for the buffet dinner starts at 6:30 PM. Complete details and registration information are on the Top Band Dinner website. DX Dinner Set for May 20 in Conjunction with Hamvention: The SouthWest Ohio DX Association (SWODXA) will sponsor the 31st DX Dinner, held in conjunction with the 2016 Dayton Hamvention®, on Friday, May 20, at the Dayton Marriott. A social hour will get under way at 5:30 PM, with dinner served at 7 PM. 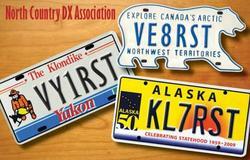 In addition to door prizes, the DXpedition of the Year will be announced. Details and reservation information are on the SWODXA website. Click on the "Purchase Tickets Today!" banner. North Coast Contesters Announce 24th Annual Dayton Contest Dinner: Tickets now are available for the 24th annual Dayton Contest Dinner, Saturday, May 21, in the Presidential Ballroom of the Crowne Plaza Hotel, next to the Convention Center in downtown Dayton. The event is sponsored by the North Coast Contesters. Master of ceremonies is CQ Contest Hall of Fame member and World Wide Radio Operators Foundation (WWROF) Chairman, John Dorr, K1AR. The 2016 CQ Contest Hall of Fame inductees will be announced during the banquet. The event gets under way with a social hour at 5:30 PM, followed by the dinner at 6:30 PM. No tickets will be available at the door. Details are on the Dayton Contest Dinner website. Registration Open for Dayton Contest University: Student registration is still open for 2016 Dayton Contest University (CTU), to be held all day on Thursday, May 19, 2016, at the Crowne Plaza in downtown Dayton, Ohio. This is the day before Dayton Hamvention®. Register at the CTU website. The 2016 Dayton CTU will be the 10th in a row. All four of the indices we track rose over the past week, with average daily sunspot number rising from 50.6 to 86.6, average daily solar flux up from 105.4 to 117.4, average daily planetary A index increasing from 7.3 to 9.4, and average daily mid-latitude A index up from 5.6 to 6.4. Predicted solar flux for the near term is 112, 110, and 105 on February 11-13, 100 on February 14-17, 105, 115, and 110 on February 18-20, 115 on February 21-23, then 110 and 112 on February 24-25, 115 on February 26-27, 112 on February 28-29, then 110, 105, 100, 105, and 100 on March 1-5, 115 on March 6-7, then 118, 115, and 112 on March 8-10, 110 on March 11-14, and 112 on March 15-16. Predicted planetary A index is 9, 15, 10, 6, and 5 on February 11-15, then 8, 16, 12, 10, and 8 on February 16-20, 5 on February 21-29, then 15, 10, 12, 8, and 5 on March 1-5, 18 on March 6-7, 8 on March 8, 10 on March 9-10, and 5 on March 11-14. Sunspot numbers for February 4 through 10 were 95, 113, 71, 84, 82, 79, and 82, with a mean of 86.6. 10.7 cm flux was 123.3, 119.7, 117.1, 117.1, 115.2, 117.3, and 112.2, with a mean of 117.4. Estimated planetary A indices were 6, 12, 8, 8, 17, 10, and 5, with a mean of 9.4. Estimated mid-latitude A indices were 5, 8, 5, 6, 11, 8, and 4, with a mean of 7.4. In this Friday's bulletin, look for an updated forecast and reports from readers, including 6 meter info from N0JK and HF reporting from N8II and others. This weekly Solar Update in The ARRL Letter is a preview of the Propagation Bulletin issued each Friday. The latest bulletin and an archive of past propagation bulletins is on the ARRL website at http://arrl.org/w1aw-bulletins-archive-propagation.